Cape Town - Little wonder that Orlando Pirates director of development and former Bafana Bafana and long-time PSL coach Augusto Palacios jumped with joy and relief on hearing that Peru had qualified for next year's Soccer World Cup finals for the first time in 36 years. Palacios played for Peru in World Cup qualifying games in the 1970s and the news that the South American country had beaten New Zealand 2-0 in a two-game play-off to become the 32nd and final nation to qualify for Russia had a special meaning for him. But more relevant for South Africans were the signs of similarity that Palacios saw between Peru's lengthy World Cup drought and the 16 deflating and distressing years in which Bafana Bafana have now failed to qualify for the World Cup finals - albeit the automatic appearance in 2010 as the host nation. "Peru played in the initial World Cup in 1930," recalled Palacios, "and performed impressively in the 1978 and 1982 tournaments, as well as becoming South American champions in the 1970s. "But something went wrong after this and a creeping erosion set in,” added Palacios, "with continual failure to make it to the World Cup finals and success in South American competitions becoming few and far between." Palacios blames the Peruvian decline on a lax and cynical controlling body of the country's soccer administration, with officials more intent on serving their own interests and egos than the game itself. And Palacios says the matter came to a head a couple of years ago during the FBI's investigation into corruption in soccer when long-serving FIFA president Sepp Blatter was forced to resign and the Peruvian Football Federation president was among those charged and arrested in the USA. "I'm not saying the same things are happening in South Africa," added the Buccaneers' director of development, "but what happened in Peru is a warning to SAFA not to allow matters to deteriorate any further. "After all, it's necessary to go back to 2002 since South Africa came through the qualifying rounds of a World Cup tournament" says Palacios, "and the response to this crisis has been blasé and not in keeping with the urgency of the situation. 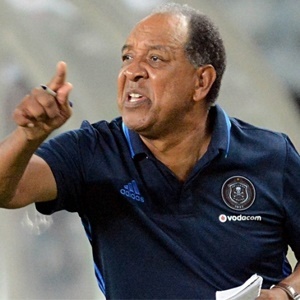 "South Africa has the players with talent and potential, the best facilities and stadiums and all the other necessary resources to be positioned much higher among the leading soccer nations in the world instead of in 80th position and thereabouts. "What we need is a shake-up like the one that has taken place in Peru, blooding players with exceptional talent at a much earlier age" said Palacios, "and the benefits will soon begin to blossom, with World Cup qualification no longer an elusive commodity."